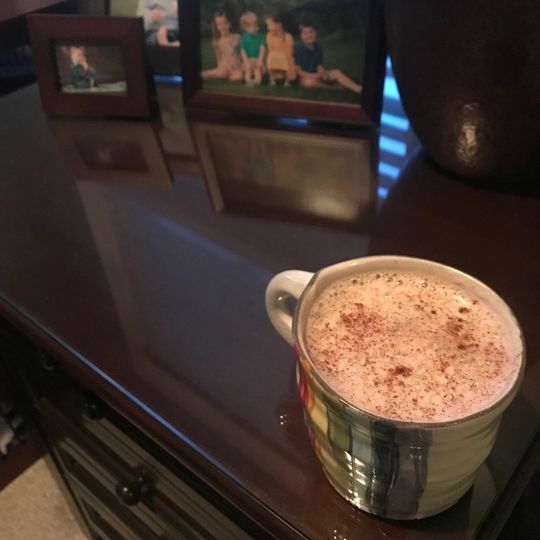 Free shipping orders $50+ use Code "ship50"
If hazelnut flavored creamers from the "you know who" brand were your vice, this tastes just like it!Rich, creamy, and perfectly nutty. **This product contains sodium caseinate, a milk-derived ingredient with the lactose removed. If you are lactose intolerant this should be safe to consume but please consult your doctor or dietitian if you are unsure. Do not consume if you are allergic to casein or are vegan. These are two prebiotic fibers with gut-health benefits we use as our oil and flavor carriers; however, the FDA does not allow us to legally recognize them as nutritional "Dietary Fibers." This is why it is 0g Dietary Fiber in the nutrition facts panel despite being soluble fiber that may help stabilize blood sugar. There is ~1gm of Acacia per serving and ~1gm Chicory Root. 2. Pour 8oz hot coffee on top. Stir or use frother to mix, enjoy! Make a liquid creamer! Dissolve 1 serving of Prymal into about 1/4 cup of milk of choice or heavy whipping cream. You may use a hand frother, a blender, or if you have neither of those just warm the milk up slightly then DISSOLVE. TIP: Make ahead a large batch and store in the fridge in a mason jar. Fast and convenient to pour into your hot or cold coffee. Stacie T. Reviewed by Stacie T.
Lindsey Marshall K. Reviewed by Lindsey Marshall K.
Sara G. Reviewed by Sara G.
Dollish B. Reviewed by Dollish B.
Omg I am a sucker for hazelnut and this taste just like regular creamer but with more flavorful taste. I made my own liquid creamer and it’s freaking delicious!!! Love these Prymal Creamers! The hazelnut is my favorite but birthday cake and vanilla are just as good. No funky aftertaste and it dissolves easily. I love mixing the creamer with a little almond milk then pouring it into my coffee also. I always have 3 or 4 bags!